Apple’s 2019 iPhone models the Apple iPhone 11 or the Apple iPhone XI have been a subject of speculations for quite some time now. While rumours have long speculated a camera bump at the back along with the reverse wireless charging feature, other details have remained scarce. But now, we might have some clarity on Apple’s 2019 iPhones other than the never-ending debate surrounding the camera bump. According to a Japanese blog Macotakara (via 9to5Mac), Apple’s 2019 iPhone lineup would comprise of two iPhones both of which will feature an OLED screen and of course a camera bump. The report states that Apple’s 2019 iPhone lineup would include a 6.1-inch and a 6.5-inch smartphone with the OLED display. This means that Apple would be ditching the LCD displays in its upcoming iPhone 11 or iPhone XI (or whatever else it is being called these days). The main body of the 6.1-inch iPhone would be about 0.15mm thinner than the iPhone XS. The main body of the 6.5-inch iPhone, on the other hand, would be about 0.4mm thinner than the current iPhone XS Max. Both the iPhones would come with a triple rear camera setup and they would come with a USB-C Lightning cable and an 18W USB-C power adapter something that the blog has stated in its previous reports as well. Additionally, they would come with an updated model of Apple’s A-chip. Interestingly, this information stands in contradiction to the information shared by Steve H McFly about the upcoming iPhones over the weekend. Apparently, unconfirmed sources told the leakster that Apple would introduce three new iPhones this year that would be direct successors to its 2018 iPhones. 2019 iPhones the iPhone XI, the iPhone XI Max and the iPhone XIR would each come with a triple camera set up at the back. In addition to triple rear camera setup, the iPhone XI and the iPhone XI Max presumably, successors to the iPhone XS and the iPhone XS Max would get a frosted glass look. Hey Buddy!, I found this information for you: "Apple’s 2019 iPhone Line-up With Triple Rear Cameras". 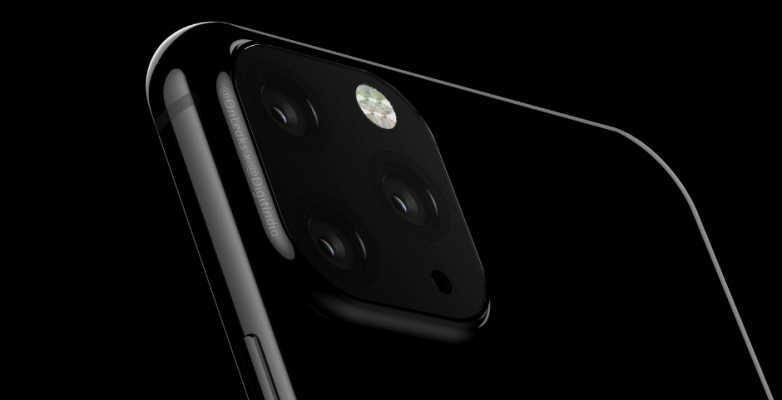 Here is the website link: https://smp-blogs.com/apples-2019-iphone-line-up-with-triple-rear-cameras/. Thank you.